Zebra Genuine Monochrome Ribbons print cost effective ID Cards for your organization while keeping in mind maximum security and durability. 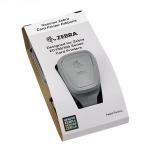 IDSecurityOnline stocks a variety of Monochrome Ribbons in all color for all Zebra ID Card Printers. Printing with Zebra ID Card Monochrome Ribbons bring out the maximum potential of the ID Card Printer while using inexpensive ribbon.